tilt's mic to mouth: "Good evening ladies and gentlemen. 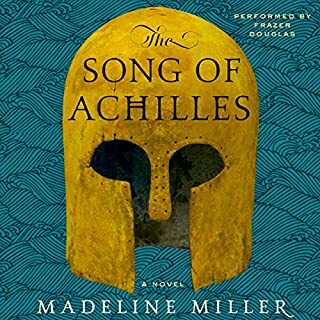 My review for this books is: *screams at mic for 12 hours*"
It is THAT good. Do not pass on this book. If you like mermaids, you’ll like this book. The performance is the best thing in this book. The voices really bring it to life. 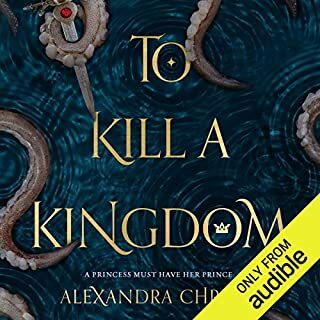 The story is good, even if it sounds oddly too similar to The Little Mermaid. There’s some dialogue that’s funny. My main issue with it this that the writing is a bit sloppy and could’ve been better edited. The characters too are one dimensional, except for the Siren. Overall, good, but not great. ...go tell your mother you love her! A humbling, inspiring, enraging, and ultimately beautiful story. Good for you, Trevor! Human optimization thought leader Aubrey Marcus's personal and professional mission rests on a single question: How can we get the most out of our body and mind on a daily basis? Marcus answers that question in Own the Day, Own Your Life, an empowering audio handbook that guides listeners to optimize every moment of the day, from waking in the morning, through work and play, until bedtime each night. With small, actionable changes implemented throughout the course of one day, we can feel better, perform more efficiently, and live happier. 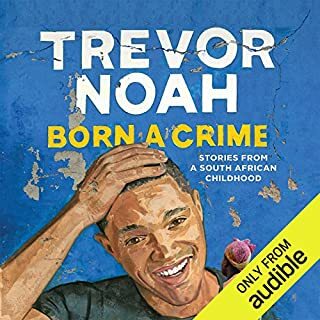 Overall the book is worth a listen. It started very strong with morning routines. The format was easy to follow, the narration was on engaging, and the content was generally interesting. I took off a star because the author, although he cited studies to support his advice, also ignored other studies that came to results contrary to his position. I wish he covered topics a little bit more carefully, especially in sections dealing with drugs, supplements, and nutrition as the advice he’s giving could actually be harmful for people. With that said, I think the book still had great gems. I started making changes to my morning routine and he was right— it made a difference. You may find something useful for you here too. The author described socks to have feelings. That’s when she lost me and my desire to slog through the book. There’s other books on “minimalism” and I’ll direct you to take a look at them before getting this. As Commander of the International Space Station, Chris Hadfield captivated the world with stunning photos and commentary from space. 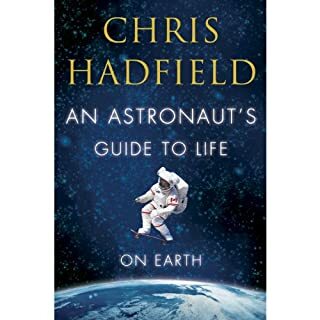 Now, reading from his first book, Chris takes listeners deep into his years of training and space exploration to show how to make the impossible possible. Listening to someone who is both wise and humble while being so wildly accomplished has been so inspiring for me. I love Mr Hadfield’s message of “aiming to be a zero” in a world that is focused on the self. It’s a refreshing and humbling listen for a generation that is so immersed and interconnected, yet paradoxically, feels so utterly alone. The book was good until about halfway when the book took a slow death. There are better books out there, and from the same author: The Fault In Our Stars was better. Kaz Brekker and his crew have just pulled off a heist so daring even they didn't think they'd survive. But instead of divvying up a fat reward, they're right back to fighting for their lives. Double-crossed and badly weakened, the crew is low on resources, allies, and hope. As powerful forces from around the world descend on Ketterdam to root out the secrets of the dangerous drug known as jurda parem, old rivals and new enemies emerge to challenge Kaz's cunning and test the team's fragile loyalties. If you like fantasy, action, adventure, and thrills, this is a great book. I’m sad that it’s finished. 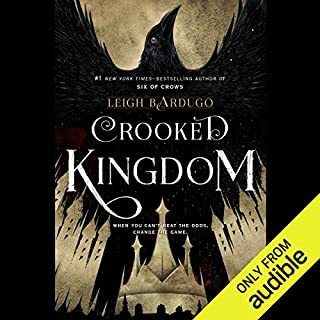 I definitely recommend because of the very well developed characters, captivating plot, great pacing, and a unique world. Worth every minute I listened to it. Buying a hard copy now to give to my niece! 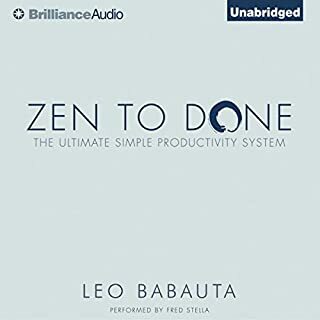 Zen To Done (ZTD) is a system that is at once simple, and powerful, and will help you develop the habits that keep all of your tasks and projects organized, that keep your workday simple and structured, that keep your desk and email inbox clean and clear, and that keep you doing what you need to do, without distractions. 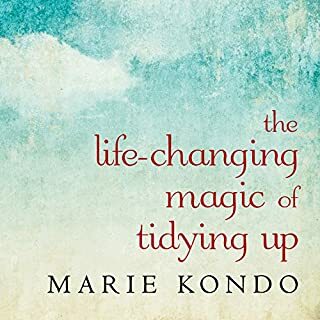 This book was written for those who want to get their lives organized and actually execute the things on their to-do list by changing existing habits. I liked that it was short and to the point. Lots of productivity tools here. As an aside, his obsession with moleskin notebook was kindoff hilarious. Also, wasn’t a fan of the extended comparison between “Get things done” and “Zen to Done”. The idea of MIT was pretty good. I’m using it now. 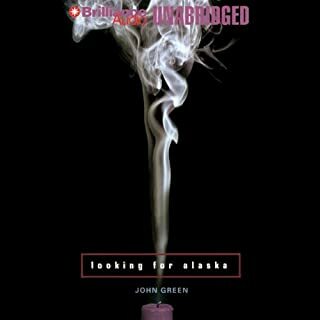 This is a book about spirituality! Do not be mislead by the title. 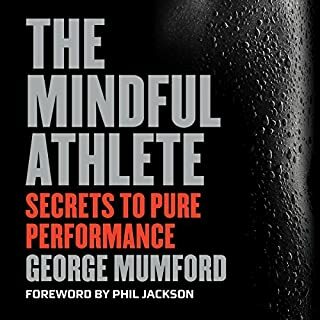 This book is about spirituality, and hardly touches on performance. I found it an absolute slog and very irritating to get through because it was highly abstract, repetitive and unrelatable. It talked about “consciousness” and “flow” in more words than was necessary, using a plethora of metaphors and anecdotes but failed miserably in giving very concrete examples on how the listener is supposed to execute it. The book can be summed in maybe 20 mins of listening time, the rest was just a repetition. Sorry to give it a bad review but it really was just....so irritatingly repetitive.